O God who made this beautiful earth, when will it be ready to receive your saints? How long, o Lord? How long? 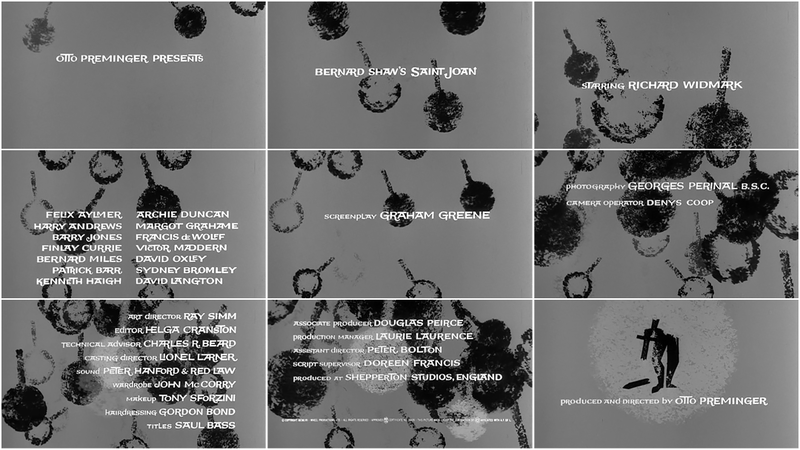 Author Pat Kirkham discusses the opening titles for Saint Joan, from her authoritative book Saul Bass: A Life in Film and Design. The symbol for this ﬁlm is the broken body of a woman who in life battled conventional ideas of femininity (wearing armor and leading men), as well as the institutions of Church and State. 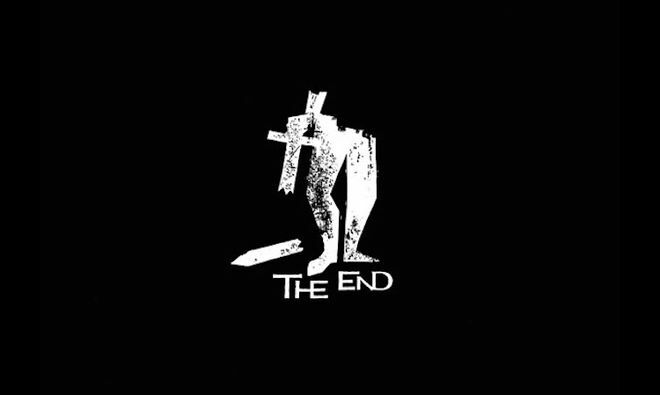 It is one of Saul's most deeply ambiguous images for a ﬁlm that explores many dichotomies, including those between the modern and pre-modern worlds. 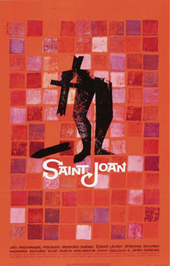 In the one-sheet poster [left] and album cover, Saul set the symbol against a joyously colored mosaic reminiscent of the stained-glass windows of medieval cathedrals, and suggesting the sanctiﬁcation to come. The black and white title sequence is full of pattern and movement in space, producing a strong visceral sensation as well as a sense of the ethereal. Taking his cue from Joan hearing the voices of saints in the moments after church bells have stopped ringing, Saul opened with bell clappers swinging back and forth.